Today is an important day in Detroit music history -- on this day in 1985 The Smiths played their first ever Detroit-area show. 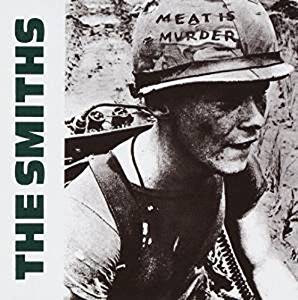 The gig took place at the Royal Oak Theatre and was the second stop on the North American leg of the Meat Is Murder Tour. This would be the first of only two Detroit appearances for the seminal band -- they returned to Detroit's Fox Theatre in 1986 to play their second and final Detroit gig. Oh, to go back in time! The setlist from June 8th is posted below via Passions Just Like Mine. The site, which collects info and memorabilia from fans, confirms "You've Got Everything Now" was originally on the setlist and scheduled to be the first song of the second encore (before "Miserable Lie"), but was likely skipped. Though a recording of the Royal Oak show isn't available, CanDragon was kind enough to upload audio (audio only) from the Toronto show that took place the following night -- June 9th, 1985 -- at Kingswood Music Theatre. The Toronto setlist is identical to the Royal Oak show other than two songs ("Handsome Devil" and "How Soon Is Now?") were flip flopped at the shows.